It’s happened to us all before. We go home with a new book, get cozy, and settle in to read. But although the storyline is interesting enough, the book leaves us dissatisfied. The pacing moved as fast as sludge, in fact, the whole story trudged along and it was almost painful trying to get through. So what happened? The story had too much filler. So what is filler? It’s anything in your story that’s unnecessary. That could be an extraneous word, sentence, description, or even a character or whole scene. It’s so important to make sure everything from your prose to your characters moves the story forward. Every scene has to be meaningful. Set the scene, mood, or theme? Add value to your overall story? If the answer to these questions is no, or if you can delete a scene, character, or description and it doesn’t change the story, they’re unnecessary and should be cut. No matter how much you may love that description, scene, or character you need to kill your darlings. You can always save your darlings in a separate Word document to use in a later WiP. Another thing we want to be wary of is purple prose. It’s super flowery language that overdoes it with adjective description and metaphors/similes. We want to make sure we show, don’t tell, but beware of descriptions that are trying too hard. We want to be simple and clear. Do you struggle with writing filler or cutting it out? Comment below and happy writing. Follow my column at Our Write Side and Twitter for more writing tips and inspiration. And Find me on Facebook for weekly prompts. It’s been a while since I’ve done an update and I’ve recently made progress so I’m dedicating today’s post to that. I’ve been working on my WiP for over a year now. After planning and prewriting, I managed to get my first draft done within four to six months and was very pleased with my progress. I was writing every day and being really productive. The words were flowing onto the page and I was pleased with the draft. Then it was time for revising and editing. I started out strong but quickly petered out. I was working hard on my revisions, but it didn’t feel like I was making any progress. Every scene still needed so much work done. Then I stopped working on it every day because I dreaded doing it. I took a long break in between sessions and it took twice as long as it needed to. I am excited to say that I finished editing last week. The next step was beta readers. I used Google Docs to share my manuscript with them. I decided to only use three beta readers. Happily one of them is already done going through my draft so I don’t anticipate a long wait for the rest to finish. I’ll go over their comments and make a few revisions and then the last step will be sending my manuscript back to my editor. It’s hard to believe I’m so close to a finished product. After I have a finished manuscript, it’ll be time to craft a strong query letter, blurb, and synopsis. I’ve been collecting agent names and information for some time now and also bought the Writer’s Market to find even more agents to query. I am nervous about this phase, but know I’ll get through it because my dream depends on it and I’ve worked so hard. I went on vacation last week and used my alone time to start working on my sequel to my WiP. I did my planning and prewriting, making a scene list using index cards to plot out the story. I also decided on at least one subplot to weave into the story and reflect a different aspect of my theme as every good subplot should. I still have a few things to figure out but I began writing the rough draft. Starting a new project is always exciting and I am enjoying the new start. I plan on using NaNoWriMo to write the bulk of my draft. Knowing that you only need to write 1667 words a day has made NaNo seem much more manageable to me and I hope you join me in the attempt. And that’s where I am. I’ll keep working on the rough draft of my second WiP as I wait for my beta readers to finish. I’ll post more tips on writing again next week, so check back in and happy writing! Follow my column at Our Write Side and Twitter for more writing tips and inspiration and find me on Facebook for weekly prompts. Last week we talked about revising, which deals with major tweaks to make your rough draft less rough. This includes plot changes, rearranging segments, and filling in holes. But what comes next after revision? Editing. Editing deals with the line-by-line concerns, perfecting your draft by fixing grammar and choosing the perfect words to phrase each sentence. It’s all about polishing your manuscript and getting it ready to share with the world. So let’s look at some tips for editing. Let your manuscript sit at least two weeks before you start. Like with revising, it helps you to look at your manuscript with fresh eyes, which means catching more mistakes and words that don’t work. It’s much easier to edit the page than it is to edit the screen. It allows for a closer read through and you’ll catch more mistakes this way. It also alleviates eye strain. Give it a try. This is a great way to catch typos and wrong words lurking in your manuscript. It also helps you to focus on each word. Read through this way at least once. You don’t want your manuscript to read monotonously. Now is the time to look at it line-by-line. Variety is a good thing. Just make sure you don’t overcomplicate every sentence. It’s about balance. You want to make sure to catch every mistake so multiple read throughs are necessary. You can also edit in passes if it helps you to focus. You can edit first for spelling mistakes, then for grammar, then for adverbs, etc. Editing may not be your favorite part of the writing process, but it is an important part. What tips do you have for editing? Share below and happy editing! So you finished your rough draft and celebrated accordingly. Congrats! But you’re not done yet, not by a long shot. Next comes revision. Now a lot of people use revising and editing synonymously, but the two are different. Editing deals with line-by-line corrections and grammar. It polishes your writing and is the final phase your manuscript will go through. Revision comes first. It involves major changes like filling in plot holes, rewriting entire scenes, strengthening weak writing, rearranging chapters, etc. You revise for the bigger picture. Let’s take a closer look at revisions. First, take a break. Once you’re finished your first draft, set it aside for two weeks to a month before you revise. It’s important to be able to revise with fresh eyes to really see what is and isn’t working in your manuscript. Your brain needs that break to get a fresh perspective. It’s hard to put your WiP down, but it’s worth the struggle. Give your draft time. Make a list of big picture problems. Forget about grammar and punctuation. You’ll deal with those in editing. For now, look for plot holes, scenes that aren’t working or don’t advance the plot, on the nose dialogue, and wooden characters. List all your issues as you read through your draft to help organize your revisions. Prioritize your list of issues and group similar problems together. Which choices are the most important? Start tackling your list there. Revise in phases. I like to write and revise in layers, meaning in a scene I’ll start with the skeleton and then add muscles and skin to flesh out the scene. For instance, I’ll start out with a chunk of dialogue. Then I’ll go through and add body language and gestures and action tags. The next pass is for exposition and narrative to push the characters and plot forward. Then I’ll do a final layer of internal monologue and character thoughts. Doing each in phases keeps me focused and makes sure I’m adding depth in each layer rather than jumping back and forth between processes in one go over. First drafts are rough. They’re messy and difficult and need a lot of work to fix them. And that’s okay. Your first draft may seem awful but you’ll fix all that in revisions. So don’t give up and happy revising! Writers write. That’s how this whole thing works, so what happens when we can’t write? You have the urge to write, so you sit down at your desk with a cup of coffee. You open up Word and your fingers hover over your keyboard and … nothing happens. Your mind is completely blank. We all dread this moment, so how do we avoid it? Let’s talk writing inspiration today. As writers we pay attention to the world around us because we never know when that spark of inspiration will strike us. There are stories all around us. Maybe we start daydreaming about who that intriguing stranger in the café is. Maybe we drive by an interesting looking house and start giving it a history. Maybe we overhear someone’s conversation and a scene hits us. There’s inspiration all around us if you look for it. Change up your playlist. Music is inspiring, whether it’s one song’s lyrics that create a scene in your head or it’s a certain genre that gets you hyped up and ready to write. Find the music that inspires you for your current WiP. Change up where you write. This is another easy fix for getting those words flowing again. Try a park or a hole in the wall café to write in. A new environment may be just what you need. Try out a prompt or two. Even if you’re working on a specific piece, starting your writing day with a prompt is a great way to get your creative juices flowing. It helps you settle into the writing mindset and jumpstarts your creativity. They can also be great ideas for short stories. I find most of the prompts I use in our writing group on Pinterest. I’ll list some of my favorites at the end of this blog. Most importantly, create a writing routine and stick to it. Having a specific routine for when you write is the first step in actually writing once you sit down to write. Because it’s a habit, you’ll find the words come to you right away. 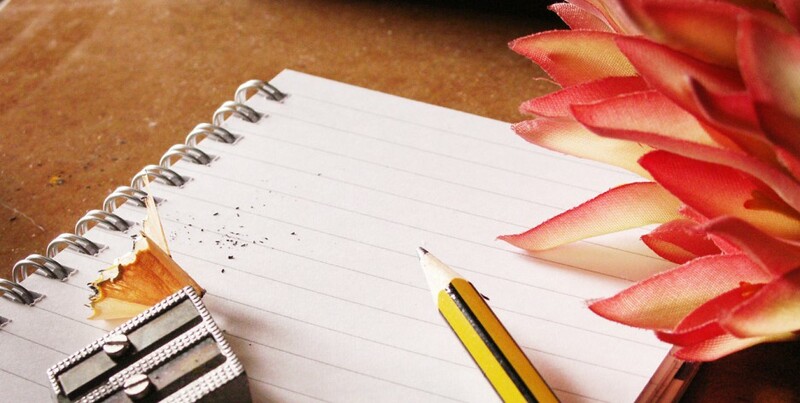 Establishing a writing routine is crucial to defeating writer’s block. Pick a time, show up to it, and write. She should have known. Nothing lasts forever, especially not pacts with the Elder Gods. Shapes moved in the shadows, materializing into two men; one tall and wiry, the other portly and broad-shouldered with a disfigured nose. Her face reflected on the broken mirror and for a moment she felt as if she had really shattered too. She wrote her spell using vermilion ink on yellow paper, the intricate tracings elaborately entwined. It was meant to ward off evil. She hung it on the bedpost in hope. Her body was littered with scars from old hunts, a living tapestry of near-misses and fights. He was tumbling through the air, colors flashing before his eyes, wind howling around him. Reaching out, he hoped to grip something, anything, to slow down his fall. Pick one of your secondary characters. Write a scene where the character witnesses something that leaves them no option but to betray the protagonist and join the other side. What inspires you? Share below and happy writing!